The race starts at the lower level trail adjacent to the north staircase. Complete a counter-clockwise loop transverse the lower level trail and upper levels of El Camino del Mar parking lot. 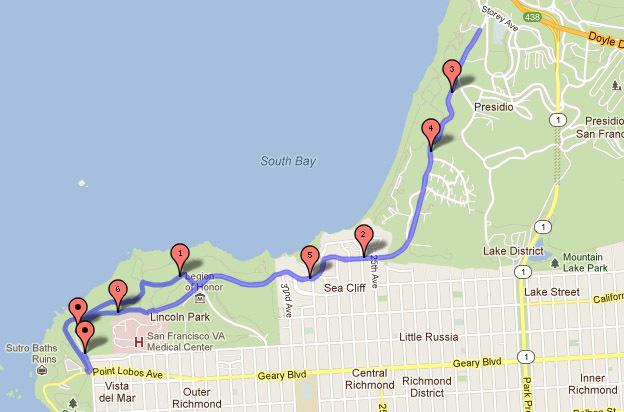 Stay on Land’s End Trail that exits uphill onto the backside of the Legion of Honor parking lot. 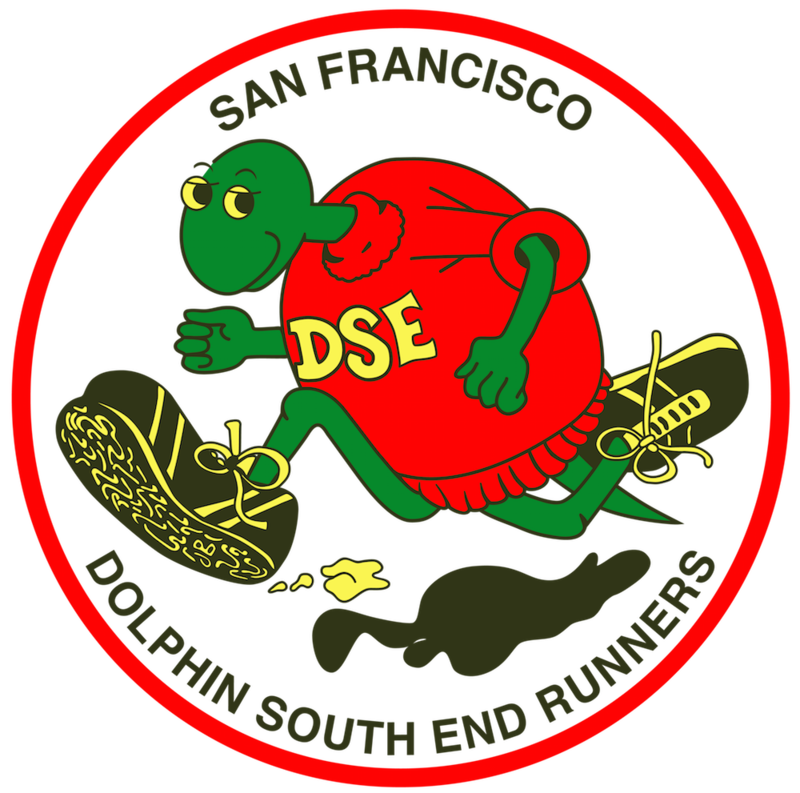 Run downhill on El Camino del Mar. Take lower fork at 30th Avenue staying on El Camino del Mar which merges into Lincoln Blvd. Follow guard rail uphill for 1/4 mile; enter inside dirt trail of guard rail until reaching the turnaround location. Reverse directions, run back the same way to finish.